We just posted images that allegedly show the ‘iPhone 4S’ body, an entry-level iPhone that Apple is rumored to release alongside the iPhone 5. 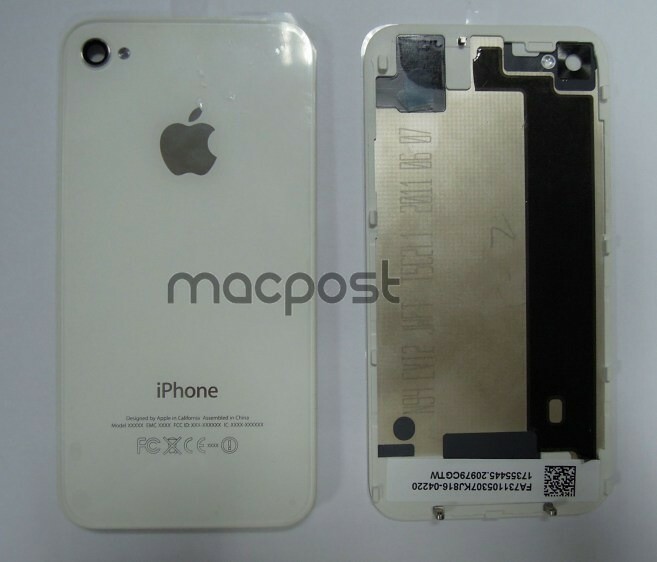 Now, MacPost (via MacRumors) has published images of what they describe as the “iPhone 5 EVT prototype (N64) back cover”. The report notes that we found references to the “N94″ in the iOS 5.0 SDK earlier this year, which we suspect could be an A5-powered next-gen iPhone (whether it’s the iPhone 4S or iPhone 5 is still unclear). While it’s obvious this is an “early development prototype” thanks to the “’07-June-2011″ markings, we can’t help but notice it bears a striking resemblance to the iPhone 4 variant that BGR reported was being tested for T-Mobile. The leaked images today back up rumors of an A5 processor, antenna redesign, and more than likely support for T-mobile. There is still no way of telling whether we’re looking at an upgraded iPhone 4 that will act as an entry-level model, or perhaps an iPhone 4S variant that will become the iPhone 5. However, the prototype in the image, at least, doesn’t seem to support mocks ups based on evidence from leaked case designs pointing to a more streamlined design for the next-gen iPhone.